The January Member Jungle Product Release will benefit administrators when using their website and app by introducing some great new features with membership and events. 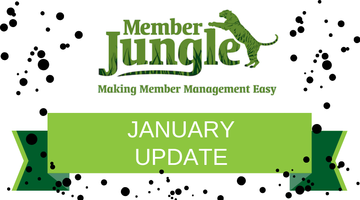 In order to access any new app features, please remember you need to reinstall or update your Member Jungle mobile app on Google Play or Apple Store. 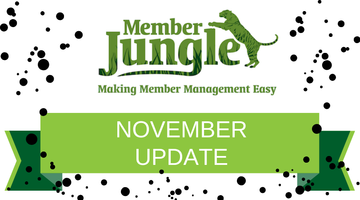 If membership has expired, members can still access their Member Jungle app, however, access is very limited. 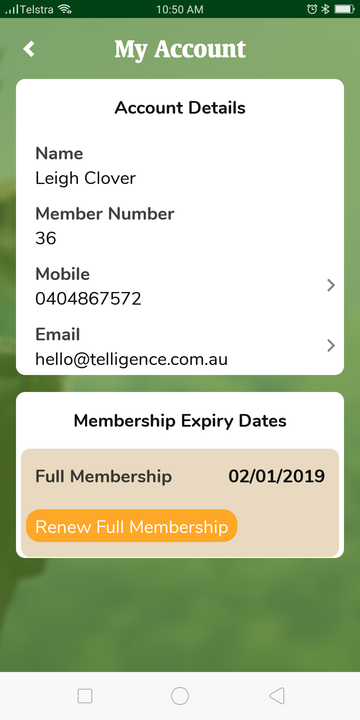 When opening the app, the member will be shown a notification telling them that their membership has expired. 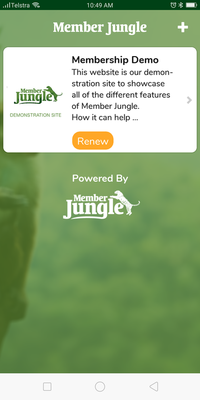 When they click into their club on the app, they will have limited access with many prompts showing the renew button. 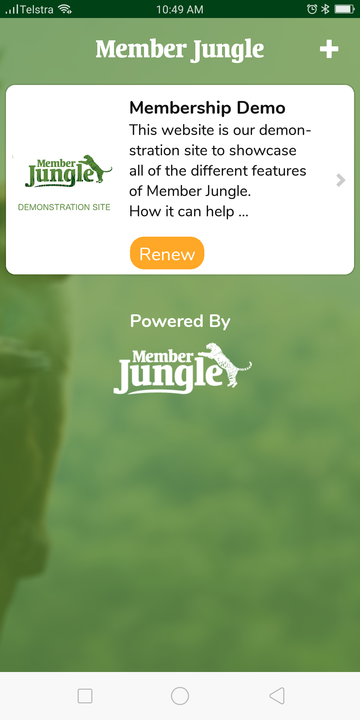 When they click on the renew button, they will be taken to the renew membership page on the website. In the case of a member needing to reset their password, the process is now very simple, with no temporary tokens required. When the member clicks on 'reset password', they will be asked for their username and email address. 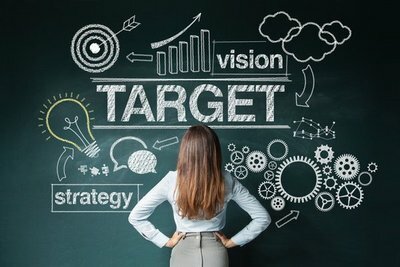 An email will be sent containing a password reset link that once clicked, will take the member through to set a new password. Membership import will now be available to site administrators. Administrators will be able to import new members by uploading from a CSV file. In the Security module, administrators can now search existing accounts to add them as a member. This account information is stored when someone purchases something from the store, attends an event or if they abandon a membership application at the payment stage. 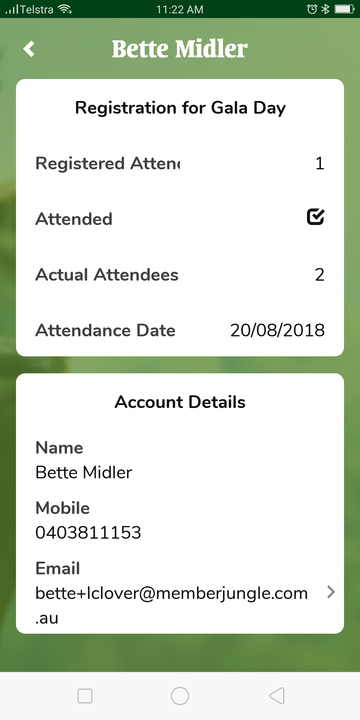 Administrators can manually add someone to attend a particular event. 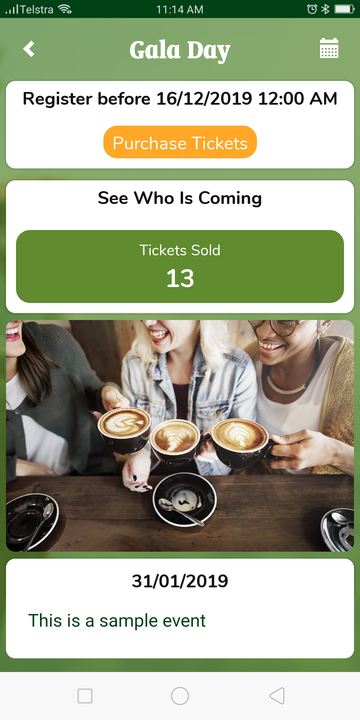 They can purchase tickets and/or register for them. They can also process their credit card or cash payment on their behalf. In the back end of your website, there is now a new option for administrators, where they can choose to share registration details with members. 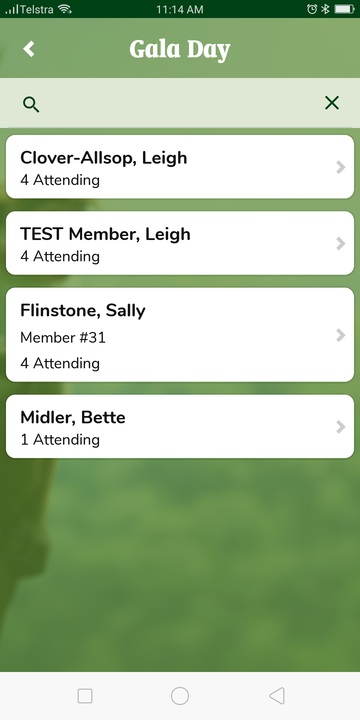 If shared, members can view the list of registered members. They will not have access to click on individual members. 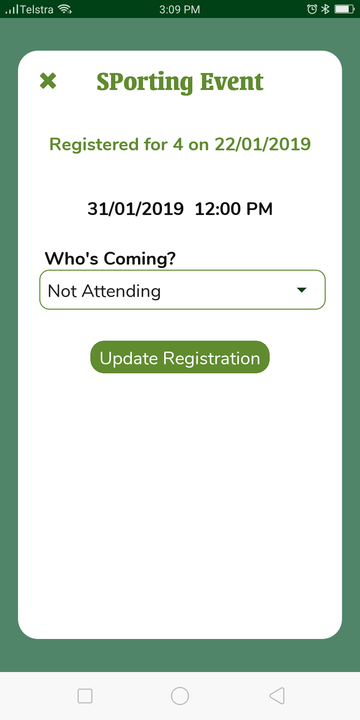 There is also the option to write and send an email when a member registers to a particular event. 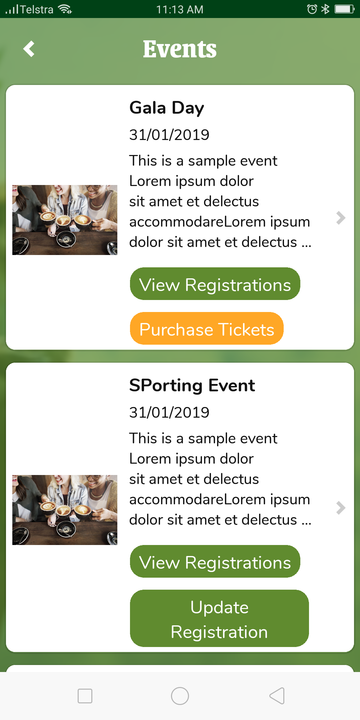 Members can register to events, purchase tickets (this takes them through to the website) and update registrations all via the mobile app. 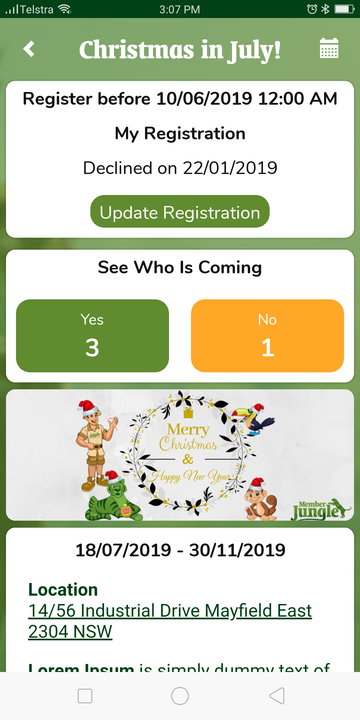 Members can also decline, de-register and edit their registrations. 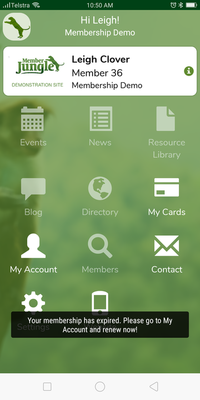 As an administrator, you've been able to view your member's logins via Security - Login Report. 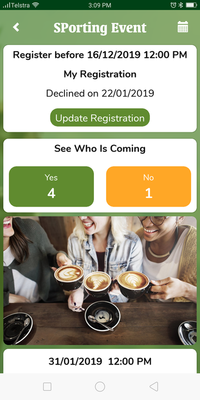 Now, you can also see when they have logged in and out of the app (view second last column). That's all of our new updates. 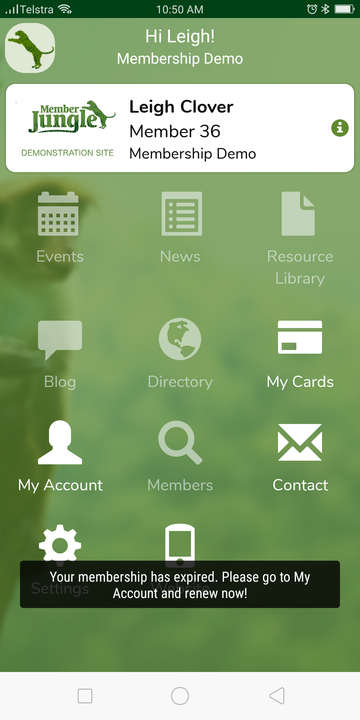 Don't forget that in order to access these new changes, you must reinstall your mobile app. For more information, please head to the help website.